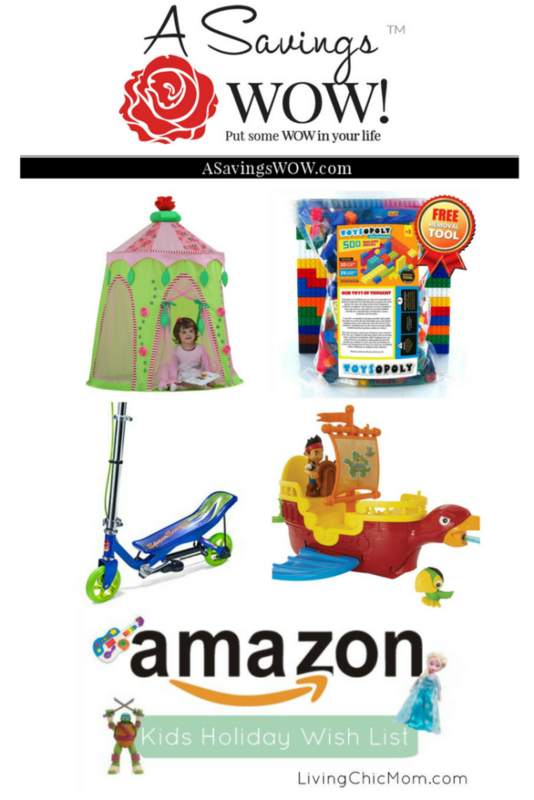 Amazon Lightning Deals | A Savings WOW! The countdown to the holidays has begun! Now is a great time to start your holiday shopping (or finish it if you’ve already started) because every day between now and Christmas, Amazon will have some super HOT deals for toys, household products and more. New to this years Amazon LightningDeals, Amazon Prime members can begin purchasing items 30 minutes before the official start of select deals. Today’s Amazon Lightning Deals are brought to you by Living Chic Mom!